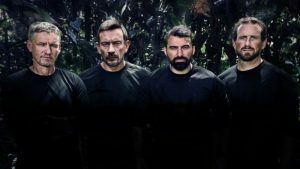 Following on from the success of the first series, Chief Instructor Ant and his team of ex-Special Forces soldiers recreate the SAS’s secret selection process and put recruits through the ultimate test of their physical and – more importantly – psychological resilience, in the Jungle. My whole family are really fond of the series of SAS Who Dares Wins ( series 1 and 2 ). Do you have any plans to release an album of the series 2 score as my son loves movie soundtracks (John Williams, Jerry Goldsmith etc ) and he thinks the music in this second series is fantastic! Thanks you for your kind email. I’m afraid the SAS score won’t be commercially released at this point however there has been a lot of interest for the score so maybe when we do the next series we should bear. In the meantime please feel free to listen for free on the website. Hi there, it’s great that you put these soundtracks on here, I love finding music from programs, Ads etc. I have found all the music from who dares wins on here which is a program and score that I loved, it is just frustrating me that I cannot find the piece of music from Series 2 in the opening when the Narrator is talking and it is showing clips. It’s quite a dramatic piece of music, is it a different composer or something? Wonder if you can help?